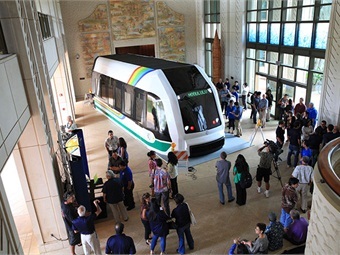 HONOLULU — The Honolulu Authority for Rapid Transportation and city officials announced that the first two Ansaldo driverless railcars arrived off Pier 1 in Honolulu Harbor, KITV4 reports. Over the next several weeks, crews will be pouring the cars, making sure they work like they are supposed to. The detailing and eventual guideway testing will all take place at HART's operations center in Waipahu, with two more railcars are expected this weekend. For the full story, click here.